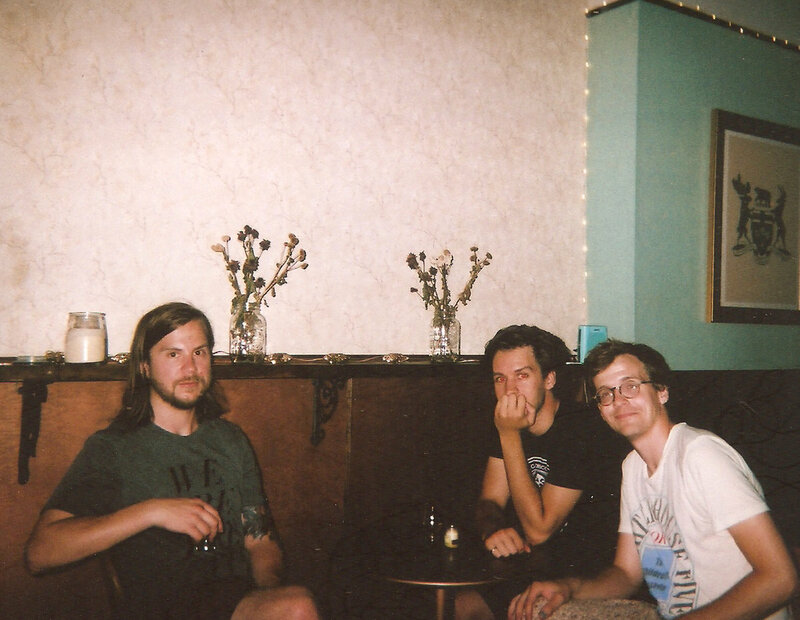 I don’t remember where I first heard Little Kid – it might have been through browsing Bandcamp or maybe someone I follow on Tumblr posted about them – but they have become one of my favourite Toronto bands. Which is not to say that there’s something specifically Toronto about them it’s just that’s where they’re based and where they play lots of shows and that’s where I live and listen to them and where I’ve seen them play. “I really like your band,” I admit to them on the occasions we’ve met. In 2011, Kenny Boothby released Little Kid’s hushed debut Logic Songs – a record that’s fraught with spiritual unrest. Coverage from the music blog No Fear of Pop helped generate the initial buzz along with 4chan (of all places) which continues to drive listeners to the record. After Logic Songs, Brodie Germain (drums) joined the band and they released River of Blood (2013). Paul Vroom (bass) started playing with them live (the trio went to high school together in Petrolia, Ontario) and eventually became a full-time member. Together they’ve released Flowers (2016) and SUN MILK which came out in August. Where spiritual uncertainties once plagued Boothby’s songwriting, he now has a clearer perspective on things and turns elsewhere for lyrical inspiration and is starting to experiment with storytelling narratives. On “The Forth” Boothby lets out his frustrations with the gender binary and advertising while “Fog” and closer “Like a Movie” each tell respective stories. With Germain moving to the UK for two years, Little Kid will probably undergo a line-up shift soon but Boothby is hoping to finish up another record with Germain before he leaves which would be released early next year. As Little Kid mature, their family of records will continue to grow. Kenney is playing a solo set to open for Yes We Mystic on October 10th at the Rivoli in Toronto. Click here for more info.